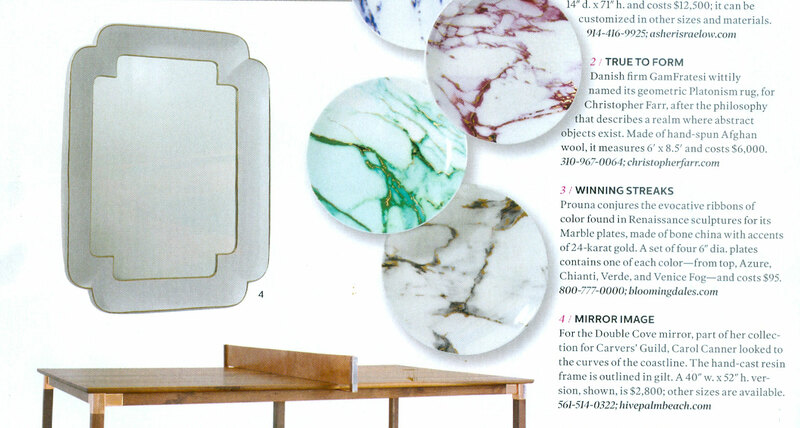 Elle Decor December 2015 The Double Cove mirror, part of Carol Canner's collection for Carvers' Guild. Carol looked to the curves of the coastline. The hand-cast frame is outlined in gilt.